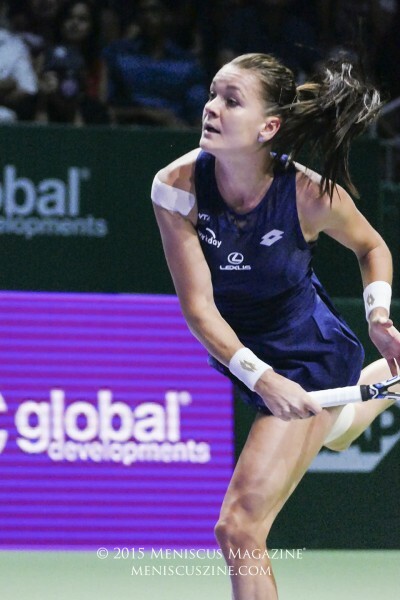 Petra Kvitova was up a break in the third set but couldn’t sustain her momentum against Agnieszka Radwanska, falling short in her bid for a second WTA Finals title. After her 6-2, 4-6, 6-3 loss, the Czech talked to the press. Her press conference transcript, provided below in full, is courtesy of FastScripts by ASAP Sports. Nice comeback in the second set. Looked like things were going pretty well in the third. Aga nipped you in the end. Talk about the final set. PETRA KVITOVA: Unfortunately I don’t really remember well, so it’s difficult to talk about. I knew I start kind of good, but I think was a game in the 3‑3 which was really important and I didn’t make it. I think that was really kind of the key of the third set. 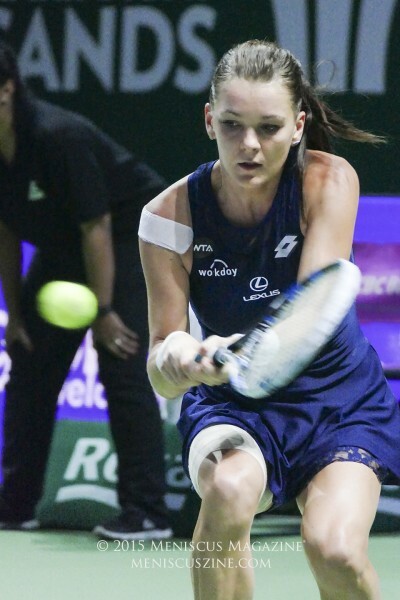 I think I really played well in the second when I came back and tried to push her a little bit and tried to play a little bit my game and really not have the mistakes as I had in the first set. From that side was good, and I was just ‑‑ couldn’t really continue in the third, and I think Aga played a little bit better in the end of the third set as well. You were clutching your leg a couple times after certain points. Were you in pain? 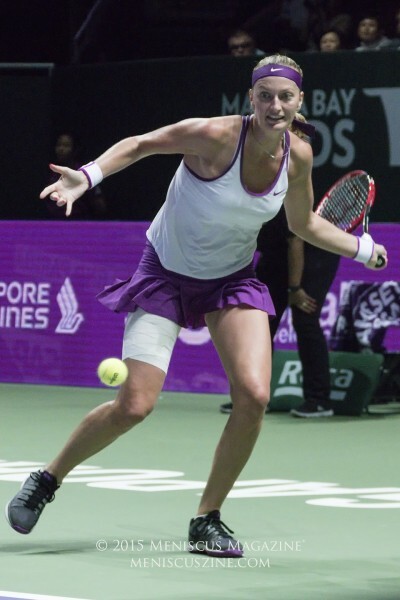 PETRA KVITOVA: If I was in pain? You were clutching your leg. So you’ve dated the clay; got your Fed Cup; how would you sum up your year for me, Petra? PETRA KVITOVA: I should talk about my year again? PETRA KVITOVA: Okay. It’s not still the end so it’s kind of difficult to say something, but I hope I am going to finish well. I think I told you almost everything the last press which I had after my group. But I think with this kind of tournament it’s more positives for sure. 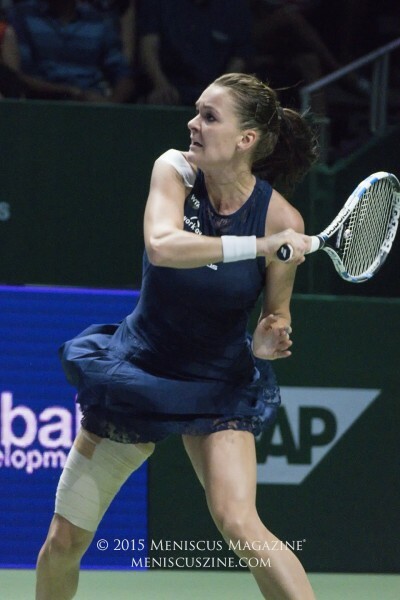 I mean, I had a great match yesterday with Maria, and I just think that today was really big fight and just about few points and I didn’t make it. I think was still great even for me. The season was good. I mean, of course I wish a little bit better, but on the side I think could be much more worse. In the first set how frustrated were you with kind of the inability to play the game you wanted to? A lot of mistakes. 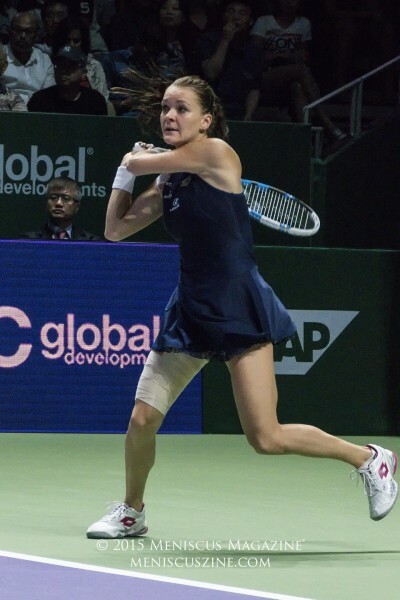 Aga was playing very well, but it looked like you maybe didn’t have level in the first. PETRA KVITOVA: Yeah, I was a little bit frustrated for sure. I knew the game plan and what I should play, but I just couldn’t do that. I was trying to play aggressively, but I miss very early and I couldn’t really stay a little bit longer in the rally, because otherwise I’m moving side to side and I could really finish after one set. I think from that side I was really trying. I really didn’t know how I come back in the second set. I felt like the first set she just crushed me and I couldn’t really have any chance. For Aga this is her biggest title she’s ever had. She’s been in one Slam final. You were obviously a Wimbledon champion twice. After the first Wimbledon, what do you feel that gives to a player when they finally win a title that’s an elite title? PETRA KVITOVA: I think she’s kind of in different position than me. I was kind of 21, which I think it’s young. I wasn’t really trying to have this kind of start. It just came. It was kind of shock. It’s took me a while to get used everything and it was a little bit difficult. 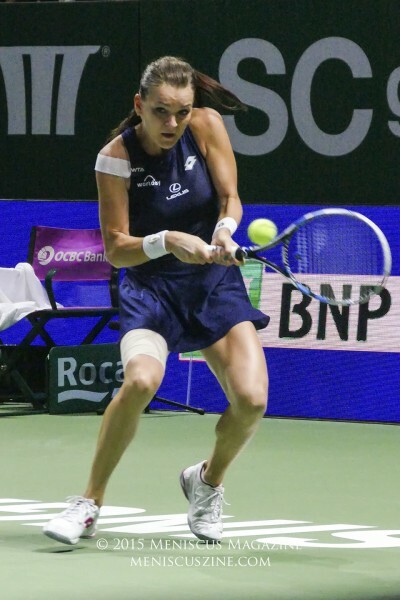 I think Aga in this position is a lot of years already in the top 10. She made finals, so she knows how everything feels like. And she just made it today, so I think for her it’s a little bit better and a little bit satisfaction for her. You led the head‑to‑head. 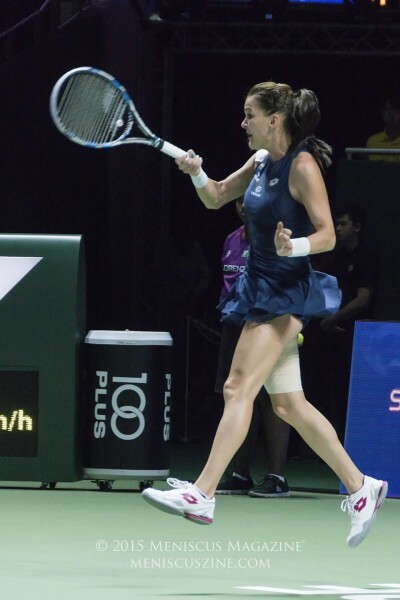 You’ve won six of your eight matches Aga. Tonight did you notice anything that she’s added to her game or that surprised you compared to previous matches? PETRA KVITOVA: I don’t think so. I think she moved really well. It was really difficult to end the shot. I went for the volleys many times and I just didn’t play them so well, so it was a little bit difficult. In that first set when you were getting frustrated and then in the second you started to play better, I’m wondering, is there anything you tell yourself when you’re being aggressive and missing to get yourself not to do it, or do you just keep pressing and doing what you want to do and eventually it comes? PETRA KVITOVA: Yeah, it’s comes a little bit, because I knew that I couldn’t play differently. If I going to play just as I said, moving side to side, it’s no chance anyway. So I knew I have to be a little bit more patient, but not really taking from the [aggressiveness]. So I was really trying to find a balance a little bit and move and play a little bit smarter, not all the time go for the winners from the first or second shot. So I was little bit trying to be patient. That’s probably what I changed a little bit in the second set.